Birthday — a special holiday for each person. What to give that person liked and was not unnecessary. Standard gifts: flowers, chocolates, perfumes, soft toys, Souvenirs. Standard — does not mean bad. Besides, these gifts can serve as a Supplement to something original. Money are often given to close family members. Or those who are very hard to please with a gift. Besides, there are people who are asked to give them money, and they themselves will buy what they need. The presentation was a little more interesting — you can write on the envelope, for example: "on a trip to Paris" or "new couch". One of the most useful and functional gifts. On the other hand, buying a microwave, mixer or refrigerator, you give him no particular person, but of his whole family. Usually such gifts made to give to relatives when you know exactly what this thing is needed and haven't bought yourself. Well, romantics, waiting for a miracle, unlikely to be happy vacuum cleaner as a gift. It can be decorative vases, beautiful glassware, paintings, bedspreads or linen. In this case, you need to know very well the taste of the birthday boy. 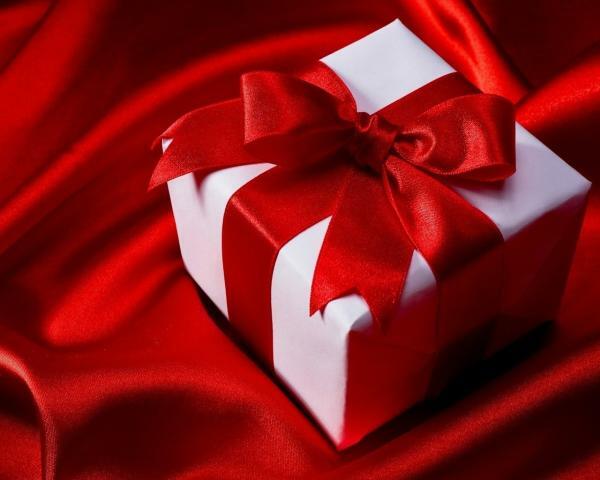 A perfect gift for girls — a certificate in Spa, store cosmetics or underwear. Distributed certificates to restaurants, clothing stores and bookstores. 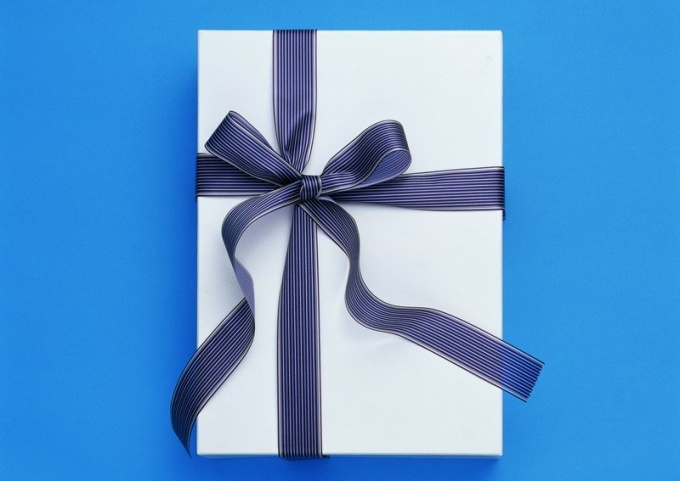 This gift will indicate its value. Gorgeous gift, if only the birthday boy yet such subscription and have at least a small desire to start a new life. Tickets to the theater or to a concert. One ticket is not rid of, as in such places decided to go with the company. Therefore, it is better to give two tickets to the birthday boy could someone invite, and hope that he will invite you. You can order a mug, glasses, t-shirt and even a cake with any inscription or picture. Something made with your own hands. This can be, for example, a toy or salads in a beautiful package. This souvenir will be a great addition to the "money" gift. It is not necessarily the geranium (although you can give her). In the sale is a beautiful large Yucca and dracaena, which will decorate any interior. If you go to the birthday company, we can negotiate and give one gift from everyone. Indeed, in this case it is possible to buy already something more substantial, make sure you have dreamed about it birthday boy. That is not accepted to give. Underwear, cosmetics give only close people. To give a clock, towel, knife, pearl, mirror — a bad omen. That "hints" at age such as wrinkle cream (even if it is very expensive). That could offend people. Be very careful with "humorous" gifts. Be careful with "live" gifts. If you want to present a gift of an adorable puppy, kitten or parrot — you need to be absolutely sure that the person really wants the animal and he has a chance to contain a pet. And this gift still is better not to do without warning. To know what a man wants on birthday, do not have to ask him directly, otherwise the surprise will not work. Ask his family what he wants. Also many now are so-called wish list (wish lists) to social networks — check it out. Nearing your birthday and you would like to present an interesting and original surprise? The holiday was better not to restrain imagination, and for this try to set aside some amount of money to gift his beloved. If you dropped out to celebrate a birthday alone, make it special. The absence of a loved one or a noisy company does not mean that you need to live the day so that nothing reminded of it. Show love to yourself, add to the celebration of bright colors. For example, visit the best in your opinion the pub or organize a walk around the city in a posh limousine, clutching a bottle of champagne. Make birthday beautiful and memorable. Think of the fulfillment of any desire you would like on this day. Plenty of opportunities, for example, to see some rare animal, to taste frog legs, see a play you've been wanting to get, to get on record for you height etc, for this you have to go to another country where you will get the gift of a long-awaited experience. In this case, start preparing for the trip in advance. If in your plans there was a modest pastime, treat yourself to any tangible gift. Only let it be really desirable. For example, the fair half of mankind can be recommended to spend a day at the Spa or to buy a luxury dress, which earlier you could not afford it. And men, you can buy a bottle of some alcoholic beverage collectible, which is hard to get, etc. But what if the birthday has already come and you still haven't figured out what to give yourself? First, smile at her reflection in the mirror and congratulate yourself with one of the most important days of the year. Second, try to spend it without worries, reduce, or defer to tomorrow everyday problems, wear the most beautiful outfit and go for a walk. Along the way you will come across any restaurant, coffee shop, cinema or Park where you can relax and have fun without worrying about business.